I hope you are all smiling and well. 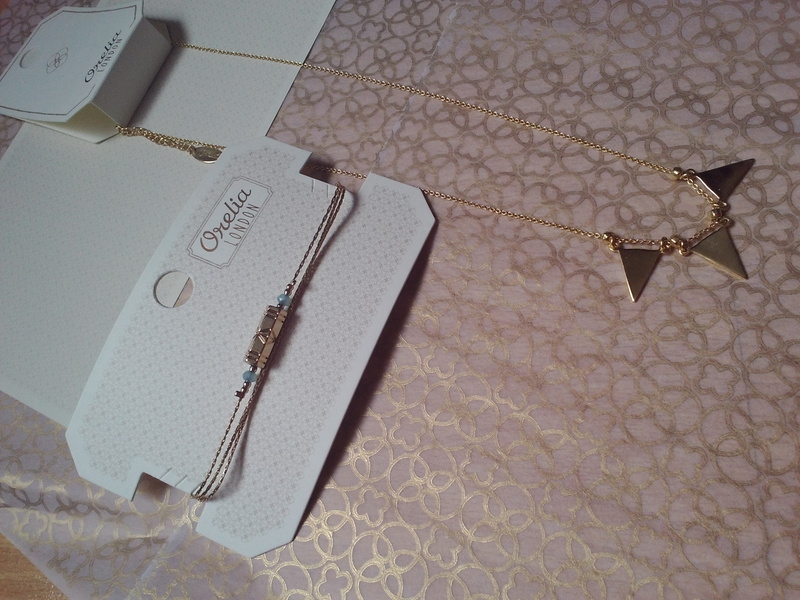 Triple triangle necklace – This just stood out. I love triangular jewellery and I thought this would look lovely with most of my outfits like a little statement necklace. 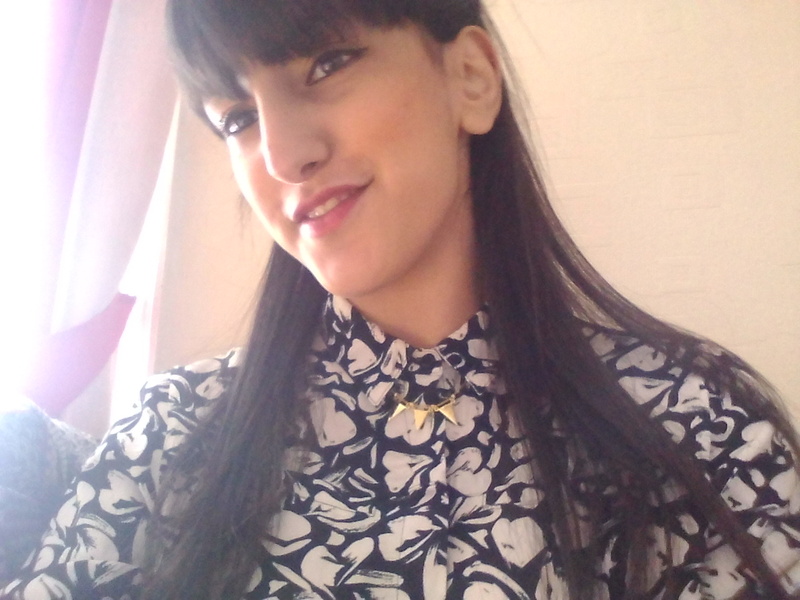 I guess it worked as I wore it under my collar of my blouse and it looked super cute – I love it!! Engraved tube bead braclet – I haven’t really has the best experience with bracelets to be fair. As I have really small wrists they never seem to fit. 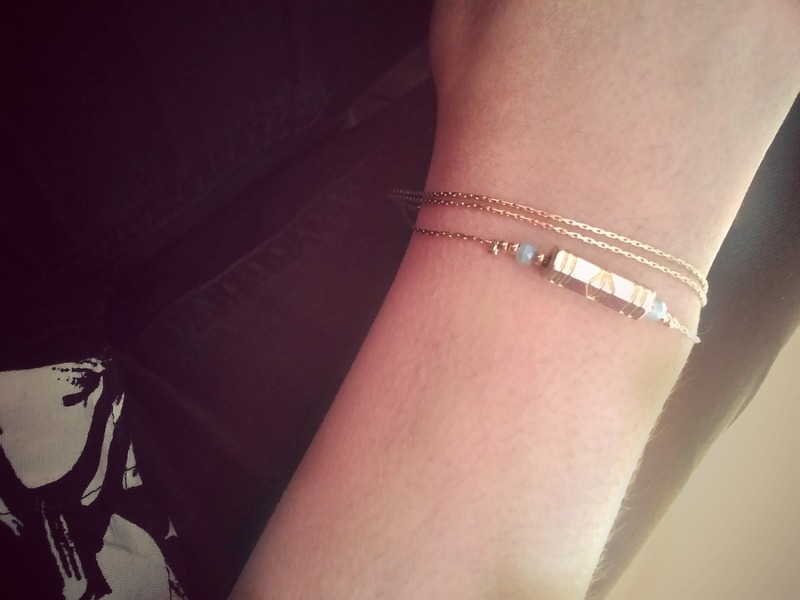 So I decided to take a risk and pick this bracelet as I just adored the simplicity of it. Sadly, once I wore this it again was too big for my wrist but I like it so I’ll try and have to find a use for it. 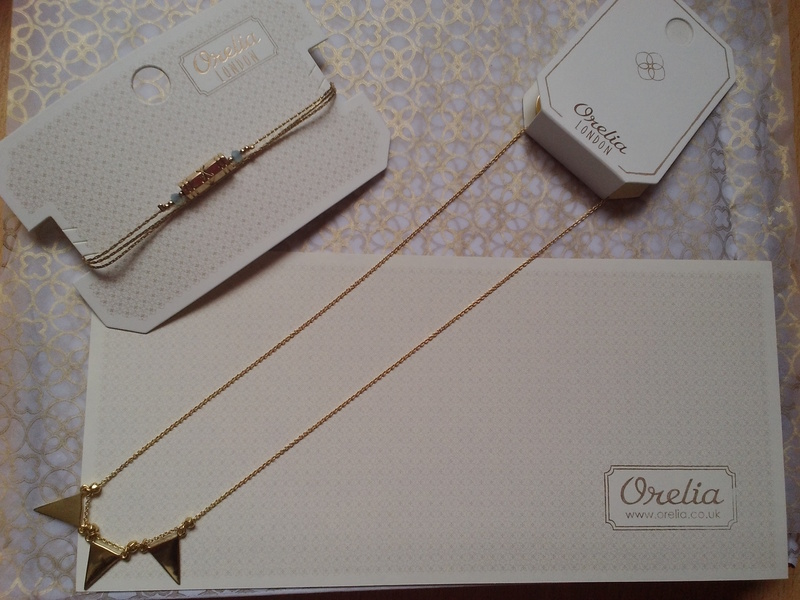 Orielia Jewellery can also be found on ASOS& in store Topshop. What’s your favourite type of jewellery? Comment below. « A walk in the park ft Sanah&Aizah. I love the necklace too! Love their stuff when ever i get back home i go straight to tiptop love the little heart necklaces. Hey thanks,I love it when blogsggers make it easy for us to comment. I love the jewellery , and will be getting my 20% off for my niece. Hey well you did ask what my fave type of jewllery Is and it is PEARLS! real ones, and hey I am in my late 40 s, but I don’t think they are at all stuffy or old fashioned. Pearls are cool and I say you can mix and match your classic chic pearls with your cool, rock chic stuff.